Virtual call centers are one way to earn a living from home. Problem is, despite being "virtual" most companies with home call center jobs only hire in certain states. These work at home call center companies hire for work at home positions in Michigan. Accolade Support Call Center Services: This business process outsourcing (BPO) uses independent contractors to work as tech support and customer service agents. Compensation is on a per-minute basis that with incentives caps at no more than$10/hour but there is no minimum wage. 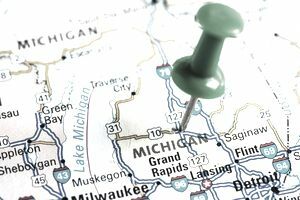 Alorica: Alorica, which merged with West at Home, hires telecommuting customer service reps in Michigan. They are paid on a per-minute or per-call basis, but because they are employees, the minimum wage in their states is guaranteed. American Express: Financial services company employs virtual call center agents with experience in reservation systems and travel agents for its corporate travel division. Bilingual agents needed. Other corporate telecommuting jobs may also be available. Apple At-Home Advisors: Apple At-Home is the remote call center program from Apple. It hires agents and managers to work from home in its tech support and customer service division, and Apple provides a computer and phone to its employees. ARO: This company's home-based employees work in customer service, sales, and business telemarketing as well as insurance auditors and LPNs and RNs doing telehealth work. While it hires in all U.S. states, that doesn't mean it is always recruiting in Michigan. Aspire Lifesyles: This company specializes in delivering virtual assistant or concierge services as well as call center agents for brands' VIP customers. Its remote agents handle customer requests by way of phone, e-mail, and chat. Bilingualism in English and French, German, Spanish or Italian is a plus. Convergys: Part-time and full-time home call center employees receive incoming calls and provide services such as customer service, sales or tech support. Paid training and benefits are available. LiveOps: Company hires agents (independent contractors), including licensed insurance agents, for a variety of call center jobs for its clients including outbound sales, bilingual customer service (Spanish and French) and financial services. Agents are paid at a rate that is based on minutes of talk time plus sales incentives in some cases. Minimum wage is not guaranteed. Agents must become "certified" to work for individual clients. This certification is not paid. The Newton Group: Elite Sales Associates (ESA) set appointments, make sales and conduct market research from their home offices. Experience in telemarketing, customer service, lead generation or appointment setting is required. Must purchase some equipment from Newton. Associates must work a minimum of 20 hours a week. PointClickCare: Cloud-based medical record system hires customer support and sales professionals with knowledge of medical documentation systems to work from home. TeleTech@Home: Global outsourcing company employs associates In some U.S. states to work from home as call center agents and in other fields. Bilingual call center agents needed. Benefits include paid training, 401k. Pay is $9-10/hour. Transcom: Call center company hires remote customer service and tech support agents in Michigan. U-Haul: Work-at-home call center agents provide customer service, make reservations and provide roadside assistance. They are employment positions, not independent contractor positions. Ver-A-Fast: Independent contractor, call center agents to make verification calls from their Michigan homes for this company's clients, which are mostly from the newspaper industry.